two finished project posts in less than a week. I hope I'll keep up this pace! 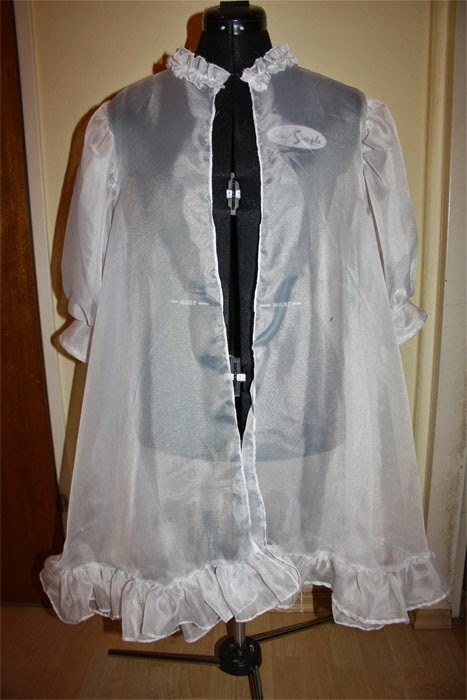 In a few hours yesterday I continued to sew the missing frills on the lower part, sew frills and then handstitch them onto the collar and finish hemming the sleeves. 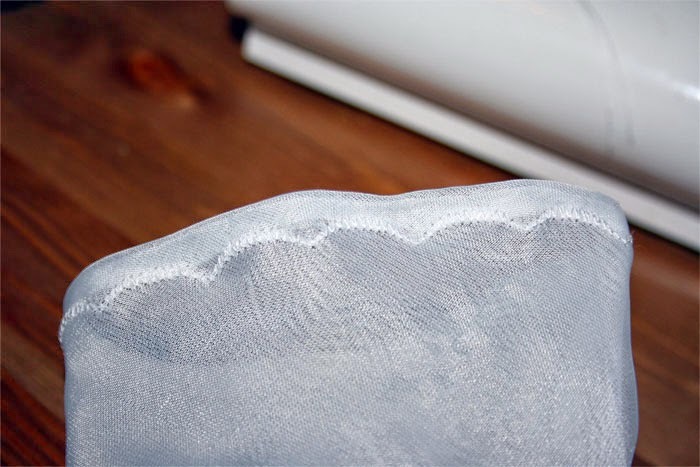 For the sleeves I used a scalloped ornamental stitch. 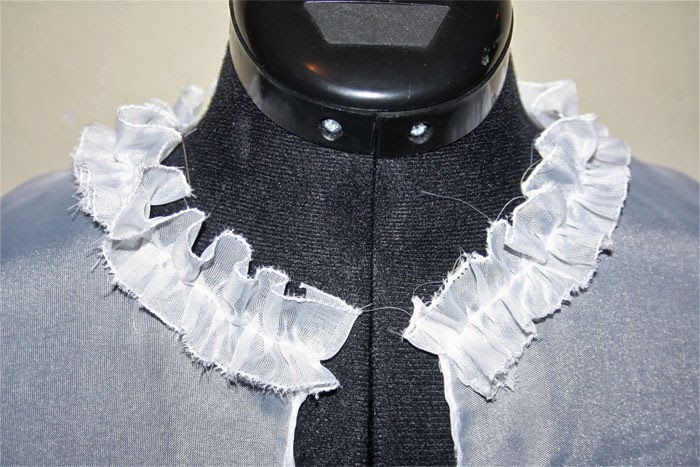 For the collar I used my low shank gathering foot to gather a mass of frills. I then handstitched it on the collar. And then tadaaah, the finished peignoir. It looks really bulky and weird but if you add an elastic belt on your waist it gets a nice form! Just perfect for my new cult party kei outfit.